After taking a long sabbatical from filmmaking, Zack Snyder is returning to work. The Hollywood Reporter brings word that Snyder has signed on to direct Army of the Dead, a new zombie horror thriller for Netflix. 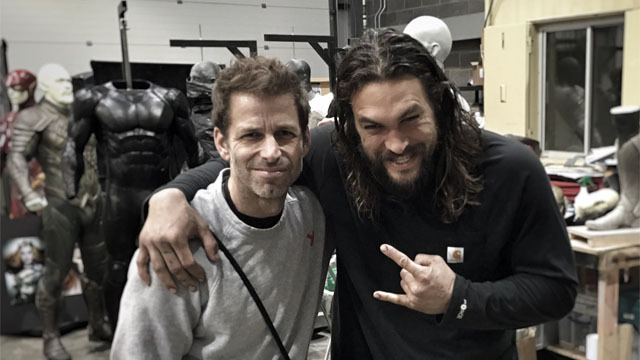 The film will be Snyder’s first directorial effort since 2017’s Justice League. Snyder disappeared from public view after his daughter, Autumn, took her own life in March 2017. He subsequently departed Justice League and handed post-production duties over to Joss Whedon. At the time, Snyder was also planning an adaptation of Ayn Rand’s The Fountainhead. He and his wife/producing partner Deborah Snyder have used their time off to help raise money for suicide prevention charities. Army of the Dead is written by Joby Harold. The film takes place during a zombie outbreak in Las Vegas and centers on a man who “assembles a group of mercenaries to take the ultimate gamble, venturing into the quarantined zone to pull off the greatest heist ever attempted.” Of course, this won’t be Snyder’s first foray into the zombie genre. He made his directorial debut with the 2004 remake of George A. Romero’s Dawn of the Dead; which was written by James Gunn. That film earned decent reviews and paved the way for Snyder to direct his adaptation of Frank Miller’s 300. Although the bulk of his filmography is made up of comic book movies, Snyder expressed his excitement to make something more original. Army of the Dead will start filming this summer. No release date is set, but the film’s budget is expected to balloon as high as $90 million. What are your thoughts on Zack Snyder’s new project? Let us know in the comment section below!